There is a reason agents need training. Legal paperwork is a core part of home selling and buying, and unless you are a lawyer, there is chance you may miss something in your paperwork. If you forget to disclose something you are aware of, even accidentally, you could be held liable for fraud. Why risk the cost of a major lawsuit when you can hire a knowledgable agent instead? 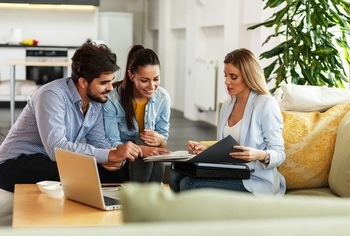 When you have minimal knowledge on how to negotiate the price of your home or how to market properly, the fact of the matter is that you are probably going to have to sell your home for much less than you planned. That loss is usually much more than the price of an agent’s commission. You wouldn't want someone who isn't a doctor performing your surgery, so why try to sell your home on your own when you aren't a real estate agent? Let a Realtor save you time and money. Buying or selling a home is probably the largest transaction you’ll encounter during your life. You can try to do it alone, but why not hire someone who wants to help you? If you are ready to sell your home and hire an agent to get you the best deal and peace of mind, call me! You're Making Your Landlord Rich! 10 HOME CHORES TO DO ANNUALLY.